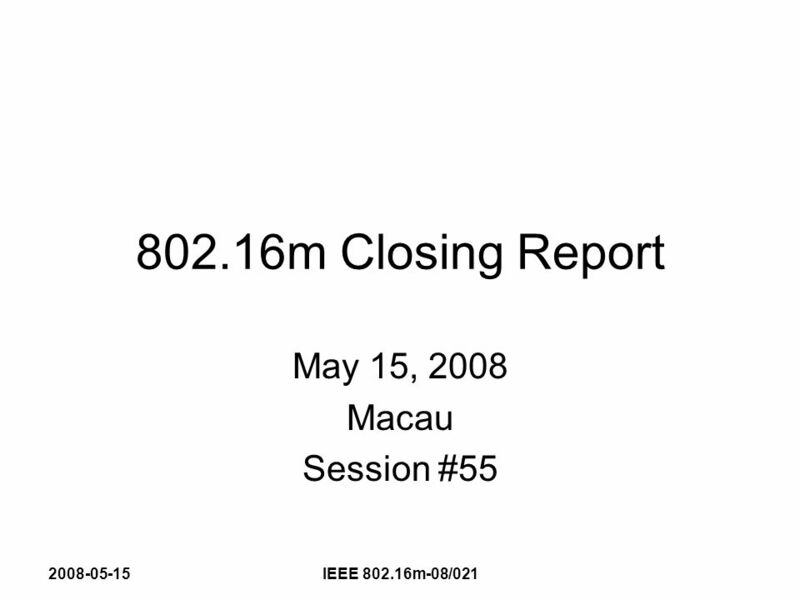 2008-05-15IEEE 802.16m-08/021 802.16m Closing Report May 15, 2008 Macau Session #55. 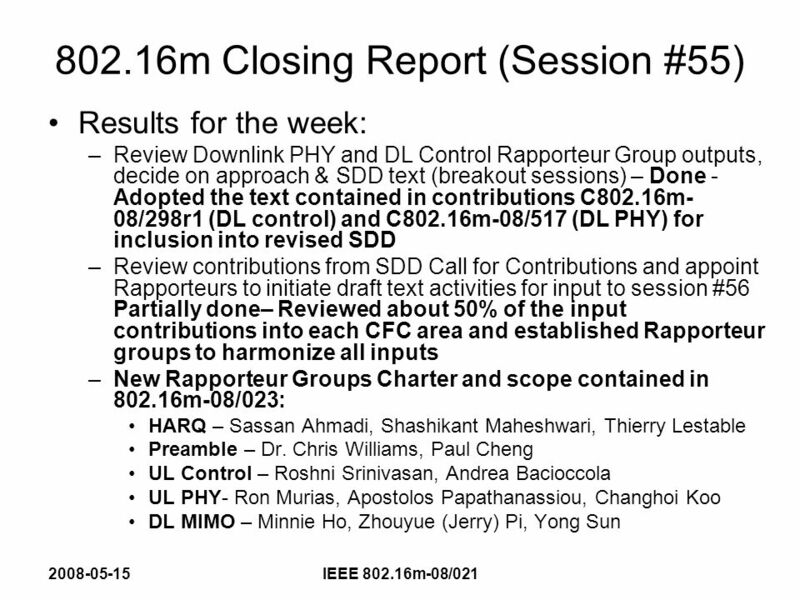 Download ppt "2008-05-15IEEE 802.16m-08/021 802.16m Closing Report May 15, 2008 Macau Session #55." Doc. 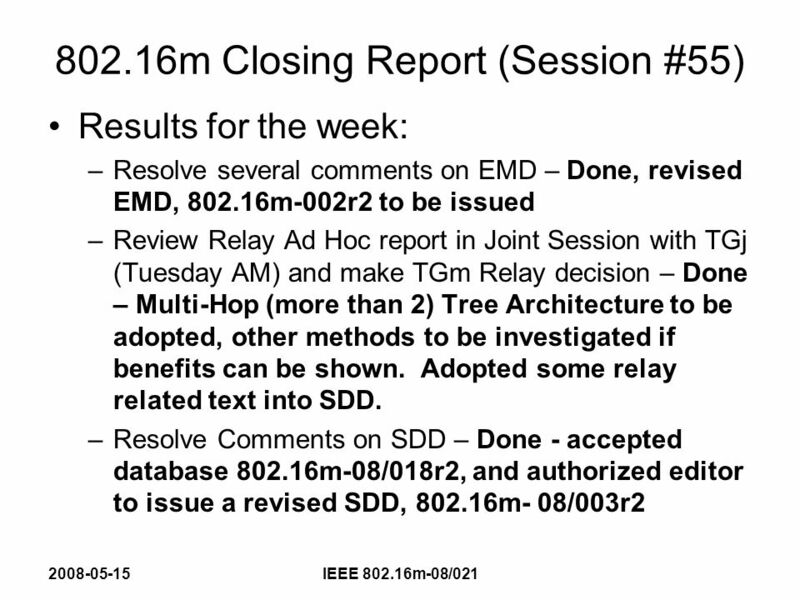 : IEEE Submission July 2007 Michael Lynch, Nortel Networks EC IMT-Advanced Update RR-TAG was directed to take this project. ITU-R Liaison Group Report - Session #60 Opening Plenary IEEE Presentation Submission Template (Rev. 9) Document Number: IEEE L /0021r1. 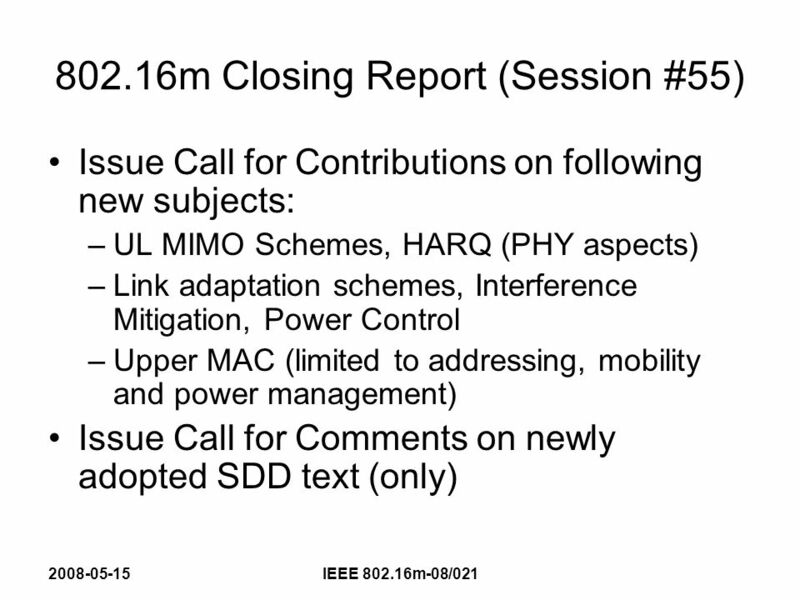 1 Call-back HO Procedure for Reentry Femtocell Document Number: IEEE C802.16m-08/1438r1 Date Submitted: Source: Yung-Ting Lee, Hua-Chiang Yin. 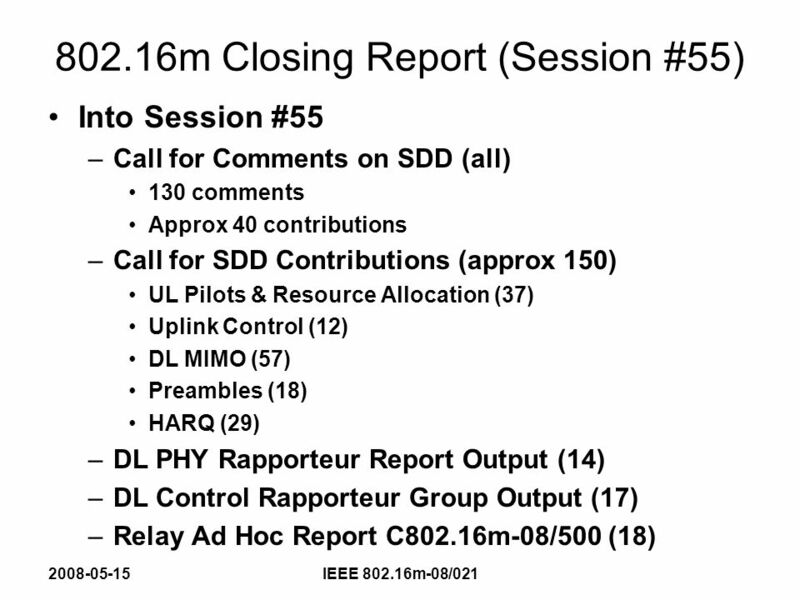 1 Session # Relay TG Session Summary/Closing Remarks IEEE Presentation Submission Template (Rev. 9) Document Number: IEEE j-07/022.